The Oculus Rift has overtaken the HTC Vive for the first time as the ‘Most Popular’ VR headset on Steam. According to the latest data from Steam’s Hardware & Software Survey, the Oculus Rift managed to capture 0.17% of users on the platform compared to the Vive’s 0.16% last month. 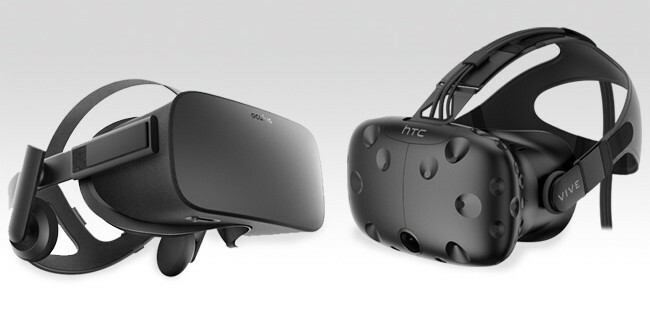 While the latest survey shows the Oculus Rift narrowly taking the top spot on Steam as the ‘Most Popular’ VR headset for the month of December, the HTC Vive still currently holds the majority of market share on the platform. 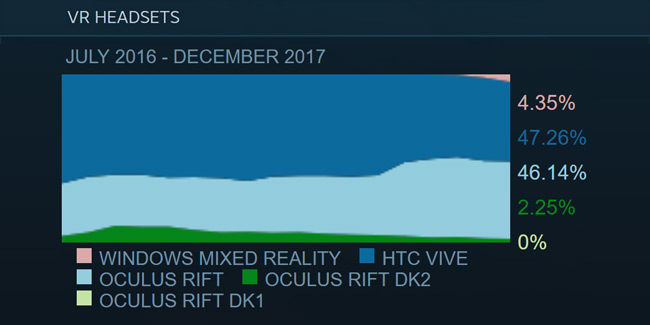 The December results also appear to indicate that the Rift is continuing to narrow the gap in terms of total market share of VR headsets in use on Steam. The figures show that the Vive currently has 47.26% of the total Steam user base, while the Rift is at 46.14%, leaving just above 1% between the two high-end VR headsets. While the latest results may be attributed to the Oculus Rift outselling the Vive during the holiday season at a more cost-effective price point, it could also be due to other VR headsets entering the market and competing for the top spot. Recently, Microsoft’s Windows-based ‘mixed reality’ headsets were added to the Hardware Survey and are now starting to show some small gains in a portion of the headset market share on Steam. 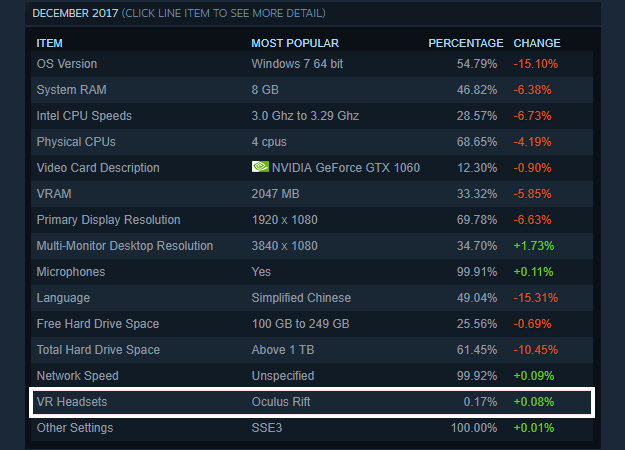 According to the survey, Windows VR headsets in use on Steam currently sits at 4.35%. It will be interesting to see how Windows headsets will continue to grow and impact the market over time. With that said, it is important to note that participation in the survey is completely optional and not every VR headset owner will have taken part in it. So, while not every Rift and Vive using Steam will be accounted for, the survey does offer some interesting insight into how these headsets stack up to each other on Valve’s popular gaming platform.